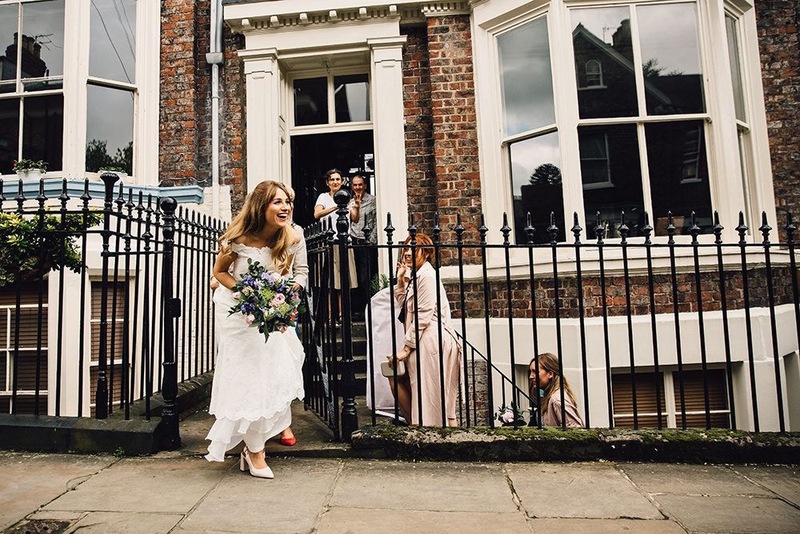 Jan ’17 started off with a bang when we were featured on top UK blog RMW with the flowers we created for Poppy and Thom’s wedding at Gray’s Court in York! Such a beautiful wedding in a stunning hidden gem of a venue that I never knew existed, despite knowing the city like the back of my hand. It’s situated next to the Treasurer’s House, in the shadow of York’s iconic cathedral, The Minster. 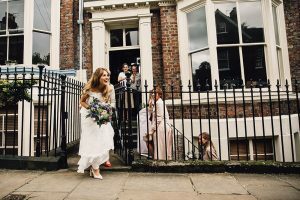 Samuel Docker took the photos, his style really captured the shear glamour and sophistication of the event and made our bouquets look absolutely ace! Poppy wanted a big blousy bouquet with garden flowers, eucalyptus and most importantly, light pink peonies in full bloom! I chose the variety Sarah Bernhardt and they looked spectacular! Her “unofficial bridesmaids” had posy sized versions of her bouquet. I also made, buttonholes, Jam Jars and a foliage runner to fit down a huge 72 foot long table! To read more about this beautiful wedding click here, meanwhile, if you’re getting married in 2017 it would be great to hear from you! My weekends are booking up fast so if your planning your big day get in touch on sarah@pinkginger.net to book your free consultation.